I'll tell you what. This recipe would get published a lot faster if I didn't keep going back to the kitchen for another bite of this delicious salad. Mine is a little bit warm because the asparagus were hot from the oven when I put it together, but it can be easily made a day ahead of time and served cold. 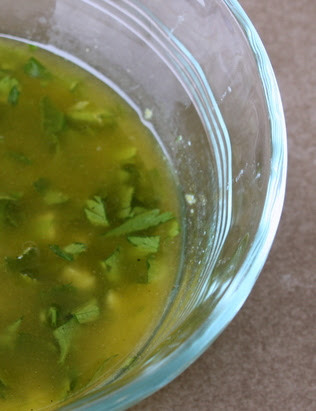 It's quick to prepare - 15 or 20 minutes total and it's full of flavor and springy ingredients. Line a cookie sheet with a piece of foil and turn your oven on to 400. Give your asparagus a quick rinse, and then chop off the bottom inch or two in order to remove the less tender part of the stalk. 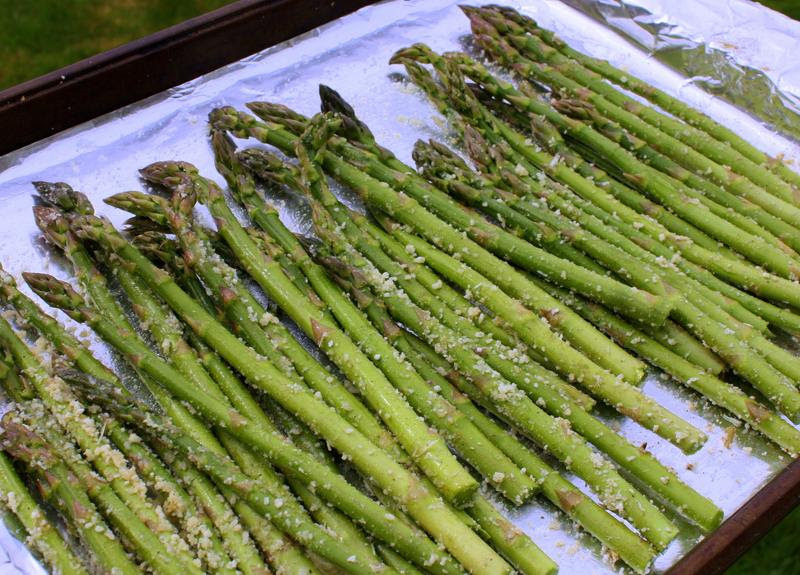 Lay your asparagus out on the baking tray and drizzle witholive oil. Sprinkle with salt and pepper and the parmesan cheese, then toss to coat with your fingers. Lay them out evenly and pop them in the oven for 8 minutes. salt/pepper. Whisk it up and set it aside. Spoon the salad over a large leaf of romaine lettuce with slices of avocado on the side. (And perhaps a scoop of rice or quinoa if you're wanting to make this meal stretch a bit more!) Serve with a crisp glass of something bubbly and enjoy!